Toni Hakula from Finland will face England’s Garrick Porteous in tomorrow’s final of the 118th British Amateur Championship at Royal Cinque Ports near Kent. The unheralded Finn dispatched local favourite Max Orrin by 4&2 while America’s Jim Liu lost out to Porteous at the 19th hole after a dramatic finish in the other Semi-Final. Porteous, who toured Australia this season and is based at the University of Tennessee, moved ahead for the first time in his semi-final with a birdie at the par three 14th, but Liu clawed it back at the next, getting up and down from right of the green as Porteous three-putted. Liu regained the lead on the 17th, holing a snaking downhill putt from 12ft for birdie, but the real drama started on the 18th when the former US Junior Open Champion’s shanked his second shot on the way to finding the thick rough beside the burn that crosses the fairway. It opened the door for Porteous who took full advantage of the opportunity and on the 19th continued with his momentum to chip to 5 feet before holing a solid put for the win. “I knew I had a chance on the 19th at least if I got up and down,” said Porteous, 21. In the other semi-final Orrin, who is bidding for a place in the Great Britain and Ireland Walker Cup team to face the USA in Southampton, New York in September, fought hard to get back into the match but failed to erode Hakula’s lead. On the 16th, the Finn found rough on the left but played a brilliant 3 iron from 216 yards in to five feet and holed the putt to close the door on his opponent. The final will be contested over 36-holes with the Englishman the firm favourite. Porteous is ranked 13th in the world and a earlier in the month won the Scottish Open Amateur. He was also quarter-finalist at the NSW Amateur back in March. At the Australian Master of the Amateurs Porteous recorded a top-10 finish before making the round of 32 at the Australian Amateur. 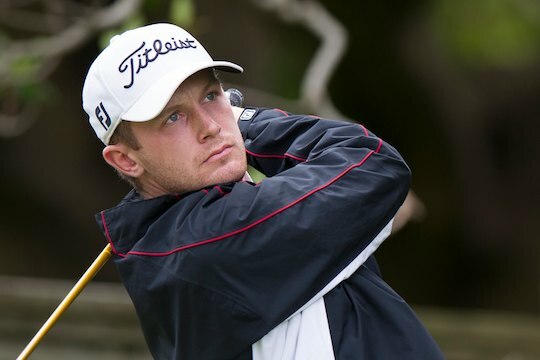 Hakula is ranked 36th in the world and in 2011 made the semi-finals of the Western Amateur. Yet to secure a main amateur title the American based Finn will certainly have the underdog advantage in tomorrow’s final. Jordan Zunic finished the best of the Australians making it through to the top-16 on Friday, before loosing his match against Englishman Max Orrin, 3&1.